Problem solving is not a skill that one is born with, it’s cultivated over time with practice and experience. Improving problem solving is a process that you need to follow in your JEE or NEET preparation. First make sure that your theory and concepts are clear. Acquire all the necessary knowledge required to solve the problem in case you wish to improve your problem solving abilities in a particular subject. Define the problem. Read the question carefully and make sure you understand it properly. Identify what information is given and what is required to find. It helps you to determine what you need to know in order to solve the problem. Try to think about a problem in different perspectives. Start from scratch and take different approaches each time. Don’t judge the problem by how long or difficult it is. Express the problem as simply as you can. It is crucial to complex problems. There must always be a simpler expressions to the problem. Visualize the problem. A simple picture diagram can help visualize the most complex of problems in any area. The more you study and practice Mathematics, the more it develops your brain and increases your problem solving ability. Proving theorems develops your thinking. For instance, if you wish to excel in Geometry, learn the prerequisite theorems and results which will be used in solving said problems. You need to do more than just the homework if you want to improve in Maths. In Physics, solve a problem, then you change the problem, re-solve it, change it again, re-solve it again. You will start to notice patterns and you start asking more complicated questions and will able to answer those. You rinse and repeat until you have a conceptual understanding, quantitative understanding, and an intuitive understanding of what’s going on. Include problem solving in your daily study schedule. Have a reliable goal something like 20 problems a day and increase your difficulty at regular intervals. Be inquisitive. Ask questions from teachers to get additional facts which helps in solving the problem. Practice practice practice! Don’t just watch teachers solve the problems or read how to solve them. Do try to solve them yourself. You may think that you understand it by watching it but it’s a whole different world solving them yourself. You’ll find that you get better faster by working them out yourself. 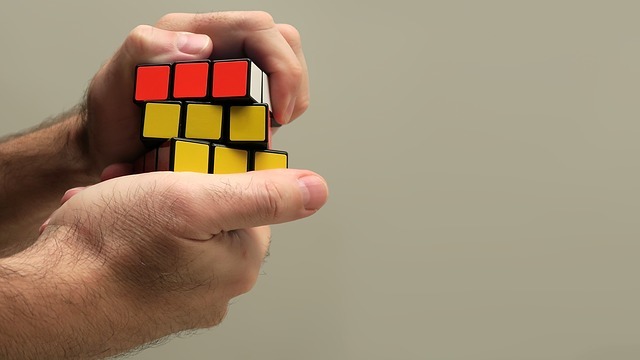 Additionally, to build up your brain muscle and develop new problem-solving techniques, you can solve puzzles and play logic games. Related Post : What to Do When You are Not Able to Solve a Problem?